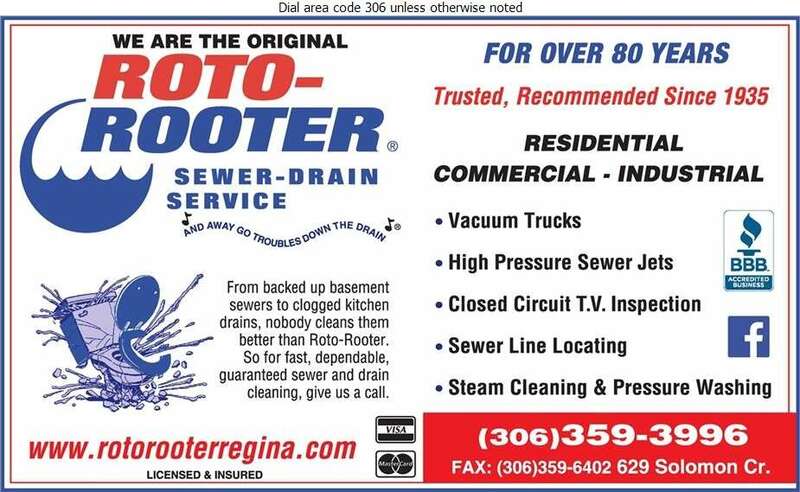 Roto-Rooter has been the trusted and recommended sewer-drain service provider since 1935. With over 75 years of business Roto-Rooter has developed the most efficient methods to free their customers of clogs and drain problems. We are able to provide service to residential, commercial and industrial clients. Whether the problem is a backed up basement sewer or clogged kitchen drain nobody cleans them better than Roto-Rooter. Our professional technicians will get there fast, do a great job, and leave your place clean and problem free. Roto-Rooter also provides installation of drain systems, water heaters, and toilets. Our business is licensed and insured so that we can provide dependable and guaranteed service.